I had several meetings recently with friends from “traditional digital agencies”. That sounds so oxymoronic! The reality is that this new course of big data, gleaned from a wealth of unstructured information on the web, has the ability to turn advertising on its head–– at least enough to make media people rethink algorithms for maximizing performance. Coming from the ad world, I have seen the banner ad rise and fall in a span of 7 years. The value of search marketing (PPC) has had its heyday and now even some of the search pundits are realizing an eventual downturn. Think back. 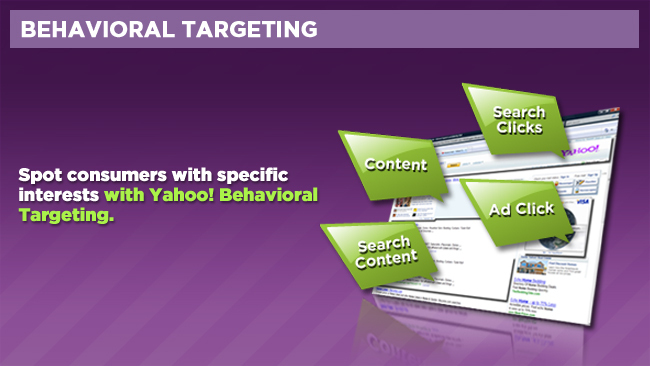 Acquisition targeting parameters were dictated by marketers. Marketers did the consumer research, mainly expensive focus group testing with questions that largely served to benefit the “business”, structured and moderated by the “business” and highly subject to group-think. To top it off, this “focus” group would provide the basis of “representation” of the target customer, so the results of the research were leveraged to inform the targeting strategy. So… my point: the research conducted was subject to false assumptions, questionable methodology and a strong reliance on the outcomes. I was fortunate enough to work for Hunter Madsen, the Yahoo! guru who led the team that developed Behavioural Targeting for our company back in early-to-mid 2005. We were in awe as Hunter explained the mechanics of targeting users within the network, based on where they’d been, what content they consumed, what they searched for… also taking into consideration their geography, demographics and alignment with the target profile. Aileen Hernandez Halpenny, a friend who heads up Rocket Fuel in Canada, reminded me of the “smart ads” — the dynamic ad units that would be served up to you based on geography, profile, search propensity etc. These were seemingly intuitive ads that knew the right offer for you at the right time. Now, combine that with ad retargeting that cookies a user and serves up a similar ad when they show up elsewhere in the network – now we’re talking relevance. No longer do we have to rely on latent conversion and assume that an ad I saw 10 days ago contributed to my online purchase of that same product. Retargeting takes out that guesswork. Mary Brown searches for information about a future trip to Halifax, NS. She also goes to travel sites, reads hotel reviews and has excitedly spoken to close friends on Twitter and Facebook about her plans and preparations. Now we have not only recent behavioural activity where she’s been on the internet, but we also are aware of her conversations that validate her behaviour. It is safe to assume that Mary will “definitely” be going to Halifax. Imagine what this information does for a travel company? They now have MORE information on that user that will allow them to not only serve an ad, or respond to that user with relevant offers, but DO so with a certain degree of confidence that Mary, will, at the very least click on the ad. What excites me about social data is that it does the job of the marketer, for the marketer. No longer do we have to guess about “who” is right for our product. The conversation data alone is enough to verify the right target audience. But, coupled with recent/past web behaviour, the two variables will increase response lift significantly. Caution: this may be a game changer but the way the advertiser needs to treat the user must also change. Ads, for the most part, have become irrelevant. Even Facebook is realizing that low Click-throughs (CTRs) on sponsored stories is not enough to drive conversion. They are now relying on “impression-based” ads ie “I saw the ad” vs. “I clicked on the ad” to determine whether this can be attribution factor with conversion. Conversation data may yield us potentially top 20 people who have a higher propensity to buy. Is this enough? The client wants more volume. Social data allows you to target to very niche groups — the tighter the targeting the better. After all would you rather have a much higher response rate, spending less on advertising, targeting a more finite group than doing a blanket campaign across a larger volume with a standard .15% CTR? And that’s only going to make us all far more effective and strategic. A version of this post originally appeared on Hessie’s blog. Hessie! I was just talking about this on my blog this week. I also choose a Star Trek featured image. I am really glad that you are talking about this! The section on social data re-affirms that we need people that know how to interpret data on our teams! I refer to it as telepathy, based on real actions and not just words. We can link what people say to their actual purchase intent. There are so many battles to be fought here though. Privacy issues being #1. Then of course it is the need for data analysts properly trained. Issues with adding more variables which can lend itself to greater confusion . Lastly, we have to be very clear and precise about what we are looking for in the data . Sometimes the hardest part is just knowing what question to ask. I think we should be having a much louder debate as marketers about not just the pros, but the cons and pitfalls of big data. I also agree with the comment on SEO. That is a post in itself and I won’t bother with all my thoughts in a comment box. It couldn’t hold them all! susansilver Thanks Susan. I’ve spoken to technologies about not wanting to discuss the “Big Brother” Component. Yes, privacy is impacted but the less to teach consumers is “what are they proactively” willing to share. This should put less onus on the technologies and corporations collecting and analyzing the data. On the flip side, businesses should be clear about what data they are after — I don’t necessarily think we need to identify “what we’re looking for” — at least initially. The data will present a picture that companies haven’t seen before so letting the chips fall where they may presents enormous opportunities for the business. 3) Consequently, social analysis is increasingly about finding connections between people’s behavior and outcomes. sardire Danny Brown Thanks Steve. Great minds think alike! The melding of past behaviour and individual connections validates and definitely makes future behaviour more predictable. For me, it’s less anything is dead except the creativity of the people behind things. Danny Brown margieclayman Margie, the print industry is evolving but from a source that works in that industry, it’s still more costly to track individual behaviour. While Print largely builds strong in-store visits for retail, the amount of personalization by “neighbourhood” based on demographics is largely unknown to the individual user. At the end of the day it comes down to expedience, relevance, and results. Thanks for the great post. While a lot of the people in the SEO industry still proclaim that SEO will never die, I have long believed SEO is nothing more than a piece of the internet marketing puzzle which will lose itself eventually in more important initiatives. Namely very targeted, relevant, useful, timely content. Whether that content is a video, a picture, an article, an ad or what have you. These types of content existed well before SEO was ‘invented’ and they will continue to exist long after it’s dead. AdamTorkildson Hi Adam. I don’t believe SEO will die. It’s an important validation for everything that we do in social. SEO is a function of both website AND social media initiatives. Both are needed to inform the state of wellness for a company. I do think, however, that it will take more of a backseat to social media tactics as companies invest more time and money in controlling and managing their social presences within their control as well as outside their control. Agree on social insights data…..& I’m sure there’ll be a whole new crop of “Social Insight Agencies” shortly (if there aren’t already). But, it is a tactic and only part of the ecosystem, and I believe it will bell curve in much the same way that SEO has. One thing that gets left in the dust frequently is user engagement. For smaller companies that are in a rapid growth phase this is almost second nature. Engage your users and provide them value because if you don’t, they’ll leave. And by value I don’t mean stuff you can buy. The problem is that embedding yourself in your customer’s ecosystem (which is really what social data is about) means you have to provide them value, or else you are just someone selling them something (not a strong place to interact from). The vast majority of ad / SEO models claim to provide value but they aren’t really focused on user engagement and it shows. And bigger companies/organizations….well, even Coca-Cola which is pretty far forward in engagement/content marketing, look at their home page and tell me if those top 3 flip-thrus above the fold are providing value. I’d say, kinda, at best. Big Data is obviously hot shop these days, but I place as much if not more stock in lean analytics and Ben Yoskovitz/Alistair Croll’s perspective. The last month I’ve been asking myself “how do I know what I think I know” and without real, actionable data that has context, the answer is nothing. That last part is huge. Context means asking great questions, knowing what you want to answer, and observing at an ecosystem level to make the data actionable. JoeCardillo you’re absolutely correct. While the components of BIG data will give companies a more targeted opportunity to reach their prospects, if they don’t learn how to engage, probe and seek out more information FIRST then they’ve killed the opportunity. Having better information doesn’t mean you dismiss the best practices that go hand in hand with using the social data. Thanks for the information re Ben/Yoskovitz/Alistair Croll. I will definitely take a look. Context is everything — no longer is there a one-size fits all mentality. One to one has met it match with the emergence of this complex data. Even offering a social media monitoring solution that can find those conversations, I’m still looking forward to how smart people like the ArCompany gang – and the commenting marketers in this thread – use those conversations “at scale”. If going case-by-case, with near real time engagement, then it makes sense…but that is hard to scale if you have a large brand with a LOT of mentions. Then it still comes down to how you can segment the consumers who are talking about you. You can segment by advocate/detractor…social channel/review site…geo…perhaps certain keywords that allow you to group people based upon where they are in the purchasing cycle. I’m excited to “monitor” the case studies that should start coming out of the woodwork as brands try to hyper-target their consumers. dbvickery Hi Brian, engagement at scale is the next step. What you’ve mentioned goes beyond the “who”. It will rely on technologies like Natural Language Processing, Sensemaking and stronger computational algorithms to deconstruct meaning at scale to begin to provide the biggest value for today’s companies seeking out more understanding in a much shorter time span. Segmentation by categorization ie message type, purchase funnel plus even more drill-down within sentences to get more granular context with ever increasing accuracy levels is the next challenge which I’m hoping is tackled, if it isn’t already. hessiej dbvickery One of the biggest areas I think the majority of companies in this space – vendors and consultants/agencies – are still not getting to grips with is the employment of people that understand behavioural science and human psyche. We can have all the data in the world; we can have the smartest businesses, marketers, instigators, etc., call them what you will – but without understanding the nuances and subsets of the human mind, then we’re still shooting blanks. Danny Brown hessiej OK, that was incredibly insightful (and “blog post length” detailed, Hessie) responses. It is interesting that – as much as we are going with natural language processing, and the automation of analyzing massive amounts of data, we still need “people people” to best interpret the results. Some of it can still be done automatically because the NLP is capable of breaking down social mentions, reviews, even data stored in CRMs as customer feedback, into component concepts. It can also score sentiment based upon the tonality of the language, but even that requires a human to help train the software to recognize sarcasm and different meanings based upon context. I’m curious when more brands will really step up to doing this level of monitoring. Will they see value not only in quicker response to detractors, but identifying advocates as well as trends around their brand mentions that can guide product development, customer response improvements, etc. This shift still means changing the mindset of those accustomed to spending big budgets on blanket approaches. Here’s to moving them from making one big bet to making smaller, incremental bets across the right conversations. To Hessie’s point, better to have a smaller niche that will actually buy something than cast a wide net only to get the typical 0.15% response rate. Great post Hessie. I’m with ajenkins on the changing mindset and organization structure required to making this work. Typically, SEO + SEM, like Social is managed in a silo’d manner within the brand and even more so on the agency side. To be an effective advertiser today, one needs to have a holistic strategy that encompasses the variables that allow social advertising to work. Btw, Amazon is heavily investing in this from my personal experience. They are establishing a whole organization to focus on solely social advertising. On and off property. BilalJaffery ajenkins I remember when Rogers created the “Convergence” Division over a decade ago. Not sure whether that exists today but they had the right idea. All these channels rely on each other and leveraging their interdependence will only help to move this industry forward.